If you are a commercial organisation interested in working with the ECMCs, please click here to download the enquiry form. The Enquiry Form along with any attached non-confidential information will be forwarded to all ECMC Locations (unless specified) as an Expression of Interest (EoI) Call for their completion. 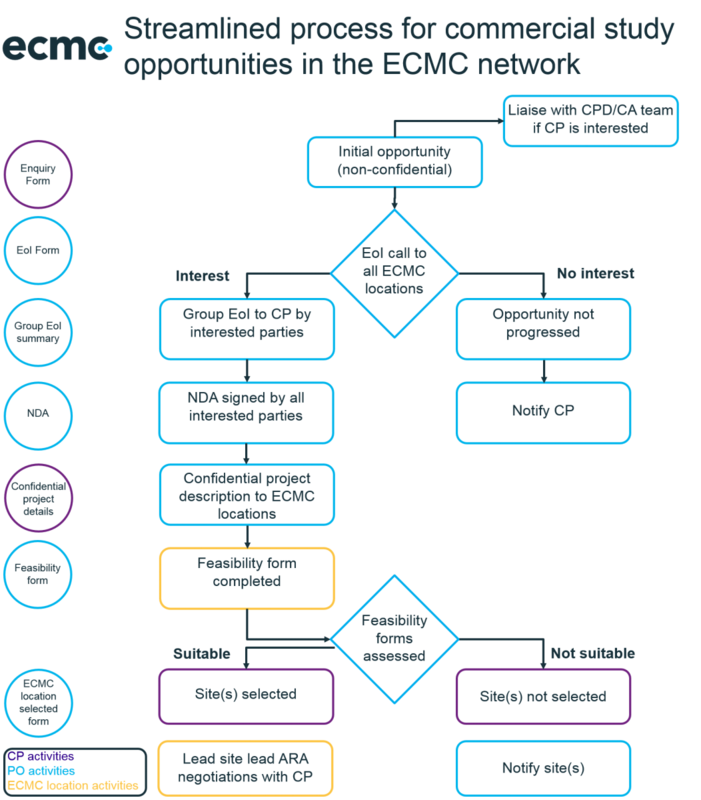 Any interested parties will respond to the ECMC Programme Office where we will forward you a collated Group EoI prior to execution of the ECMC Non-Disclosure Agreement (NDA) for further discussions.